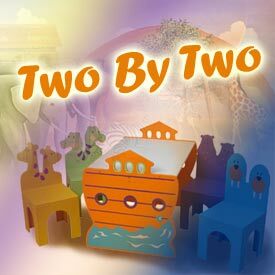 Kid's Noah's Ark Theme Bedding, Furniture And Decor For Baby Nursery, Children's Bedroom. Noah and his wife welcome all the animals as they walk up the gangplank two-by-two. 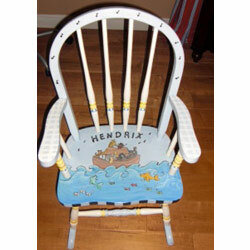 Introduce your little one to this enduring tale with our adorable Noah�s Ark furnishings and d�cor. Save! 10% Discount when you buy three or more items from this collection. Discount will be applied at checkout. Select all the individual items you want to purchase and click the "Add Selected Items To Cart" button to add those items to your shopping cart. You will then be prompted to select any options that are specific for each item.